Are you looking for a theme that shouts: plain, regular, or ordinary, than look no further. 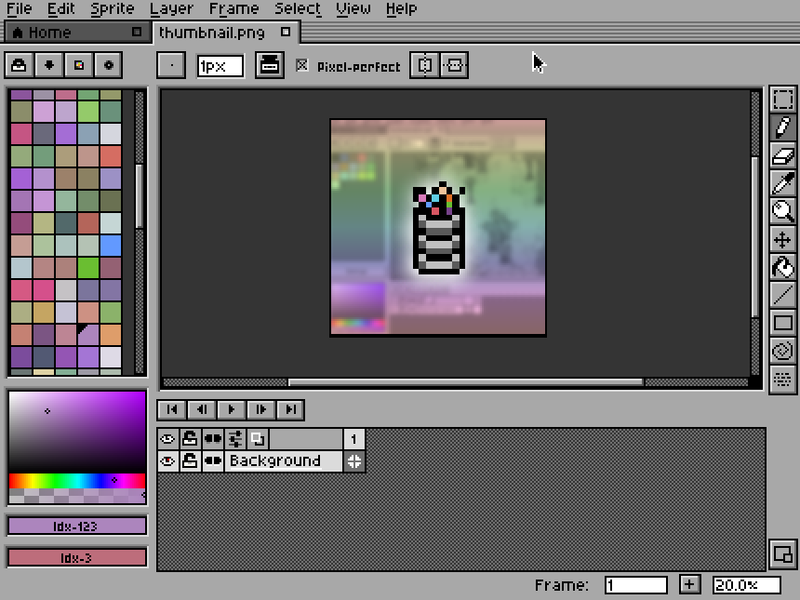 The Vanilla theme for Aseprite was designed with nothing fancy in mind. Inspired by the GUIs of yesterday, may this non-flashy theme aid in your concentration and inspiration. To install, place the unzipped folder into your extensions folder inside of the Aseprite installation. More details can be found in the help section in the Aseprite app or on their website. 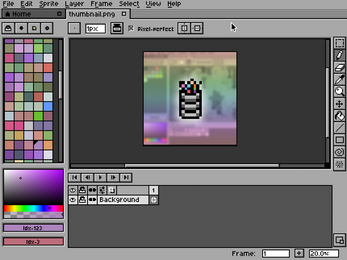 Awesome theme, has a Mac OS 9 Photoshop-y feel. Great work!